Good news! 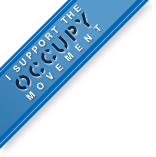 You can now assist an Occupy offshoot, Strike Debt in canceling debt. This is called the Rolling Jubilee. What is a Jubilee? The septennate or seventh year, during which the land is to lie fallow, and the celebration of the fiftieth year after seven Sabbatical cycles. As regards the latter, the Hebrew term “yobel” refers to the blast of the shofar on the Day of Atonement announcing the jubilee year …. The fiftieth year, i.e., that following the last year of seven Sabbatical cycles, is the jubilee; during it the land regulations of the Sabbatical year are to be observed, as is also the commandment “ye shall return every man unto his possession” (ib. verse 10), indicating the compulsory restoration of hereditary properties (except houses of laymen located in walled cities) to the original owners or their legal heirs, and the emancipation of all Hebrew servants whose term of six years is unexpired or who refuse to leave their masters when such term of service has expired (Gen. xviii. 6; ‘Ar. 33b; see Josephus, “Ant.” vi. 8, § 28). The only bad news that I can see is that they’re using Paypal. However, they also offer WePay. Don’t know if that is better.